At Bromley Park Dental, the oral health and well-being of our patients are our top priorities. We have built our privately owned Brighton practice on the belief that everyone, in every stage of life, deserves premium dental care to achieve and maintain strong, healthy smiles that last a lifetime. Whether you are looking for exceptional dental services for yourself or your entire family, our team of experienced and compassionate dentists can help. Call us today at 303-659-0667 or complete the form on this page to schedule an appointment. We proudly serve Brighton, Thornton, Commerce City and surrounding Colorado communities, including Fort Lupton. Bromley Park Dental was founded in 2004 by Dr. Bradley Kellogg and Dr. Ian Paisley, two skilled, experienced and highly trained dentists who believe in an individualized, conservative approach to dentistry. Later, Dr. Jacob Ramirez joined our team. Whether you are visiting for a routine check-up, oral surgery or just a second opinion, we will thoroughly evaluate your situation, explain all of your treatment options and develop solutions that meet your needs, budget and lifestyle. We strive to be more than just another dental practice; we are your dental home. 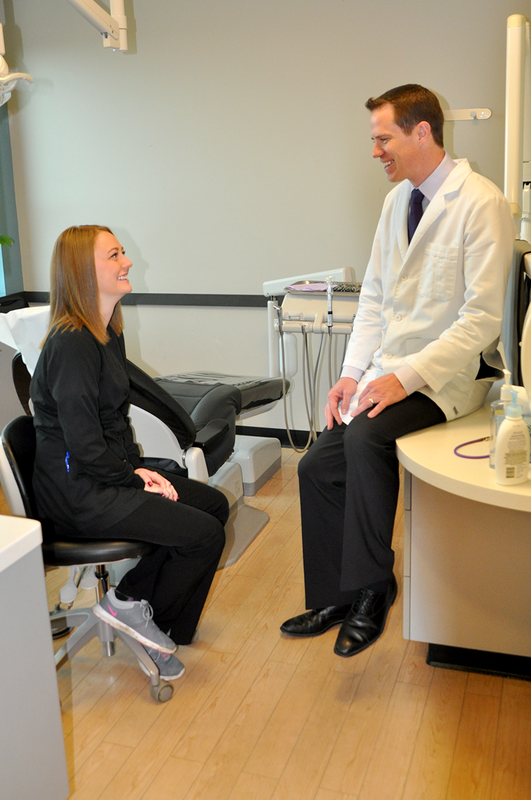 Long-lasting patient relationships are our passion. While we are always happy to help new patients with urgent needs, our goal is to establish trusting, long-term relationships with our patients and their families. From toddlers to seniors, our friendly family dentists provide individualized care for patients of all ages, in every stage of life. As a privately-owned dental practice in Brighton, the well-being of our patients – our neighbors, friends and families – is at the heart of everything we do. We provide gentle, compassionate care for children, comprehensive treatment options for adults and sophisticated dental solutions, using advanced technology and techniques, for our patients with more complex dental needs. You shouldn’t have to drive for miles to receive the crucial treatment you require. In addition to regular cleanings and family-focused dental services, our highly trained and skilled dentists can perform a variety of oral surgery procedures in our office, including dental implants, root canals and more. Providing outstanding dental care requires the ability to communicate clearly with our patients about everything from treatment options to scheduling and financing. As a bilingual Spanish-speaking dental practice, we help every patient, from the front desk to the dentist’s chair, feel welcome and understood. Brighton isn’t just our practice area, it’s our home. We are proud to be part of this growing and closely-knit community. If you come out to one of these fun local events, be sure to stop by our booth and say hello. We love meeting new neighbors and families. You and your family deserve a dental home where you feel valued and understood. To schedule an appointment at Bromley Park Dental, please complete the form on this page or call 303-659-0667 today.